After several months, I am thrilled to be back at the start line. I will be racing in the finale of the Lifetime Series and Toyota Triple Crown. I missed several of the races this year due to my injury over the summer, but really looking forward to the thrill, excitement and joy of racing. My sacral fracture was one of the toughest injuries I have dealt with in my career. I was not able to run for ten weeks. When I am not running,I really miss it. . The first couple of runs back from injury, I was smiling ear to ear. I especially missed those outdoor runs when the weather was a perfect 70 degrees. I will be pushing my body all that it can give me on race day. That is what racing is all about! My goals for this race are very different from races earlier this season. I have been back to running for just over a month now and I have had to slowly ease back into distance and fitness. I am currently still building back into fitness and really listening to my body so that I avoid setbacks and continue on as Nate says, “Slowly climbing the mountain.” The past few months have been mentally tough. I have to thank Nate and my family for helping me to stay focused and positive. 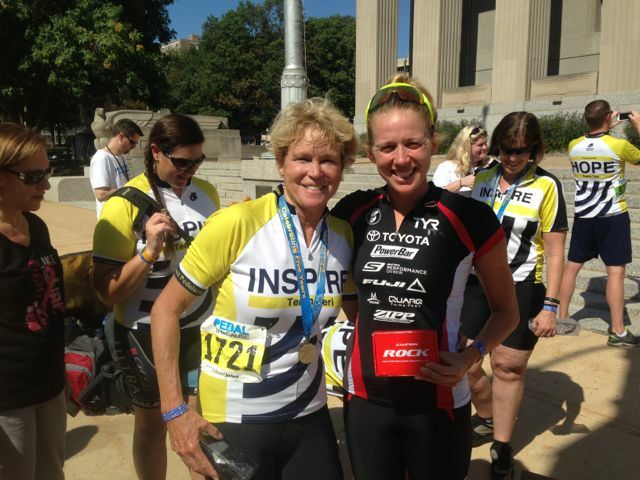 The past few months, I participated in several events that really inspired and motivated me. Earlier in September, I had to opportunity to work with Mike and Jenn McGuire. . 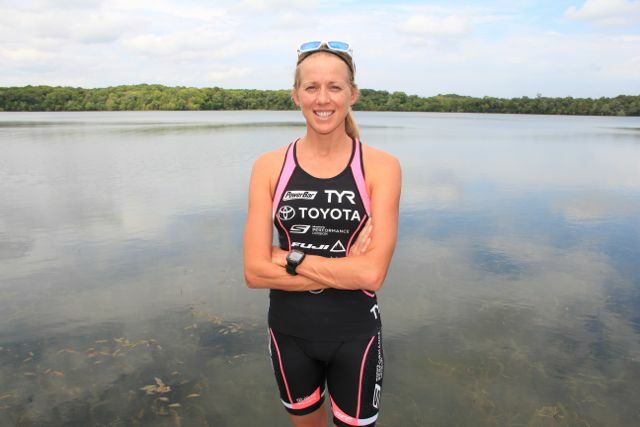 Lifetime and Toyota are teaming up together to help Mike and Jenn complete the Oceanside Tri. Hunter Kemper and I gave Mike and Jenn training and nutrition tips. The most inspiring part of the trip was helping Jenn overcome her fear of open water. After a scary experience at the Royal Gorge in Colorado where she almost casino online drowned, she had not been swimming in open water since she was a child. I felt inspired by her bravery that day. 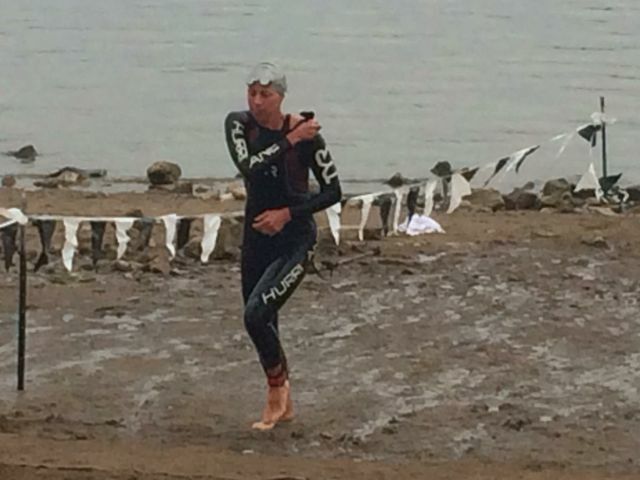 She overcome her fear of open water and swam several hundred meters! Later in September, I participated in Pedal the Cause. Riding with thousands who are all working towards finding a world without cancer. I saw many survivors and those who have been touched by the disease in some way. Finally, a few weeks ago Nate and I had the opportunity to race, Boarder Wars Half Distance Triathlon. This was an inaugural race in Alton, IL. There was a race within a race with “West” vs. “East”. Those who lived west of the Mississippi were racing those east of the Mississippi. We were racing for team, Swim Bike Run St. Louis. Nate completed the half distance with a fourth place overall and I was able to do the swim/bike while my brother ran the 13.1 miles. We finished first in the relay division. This was my first half distance to race the swim/bike portion. I loved it! Although next time around, I would use more than two Power Gels. I was completely bonking the last ten miles of the bike. This was a fun, last minute opportunity to race against each other (I won!). Nate braved it out in the cold. Even though he is a Minnesota native, he prefers to race in the heat! Best wishes to all those wrapping up their 2014 season! Whether you have had the season of your dreams or a season left to be desired thus far, remember that every race is a new opportunity to challenge yourself and make the most out of what your body can give you on that day. Embrace the challenge! Thank you to my sponsors who have been so supportive during this time of the injury and ongoing healing process. 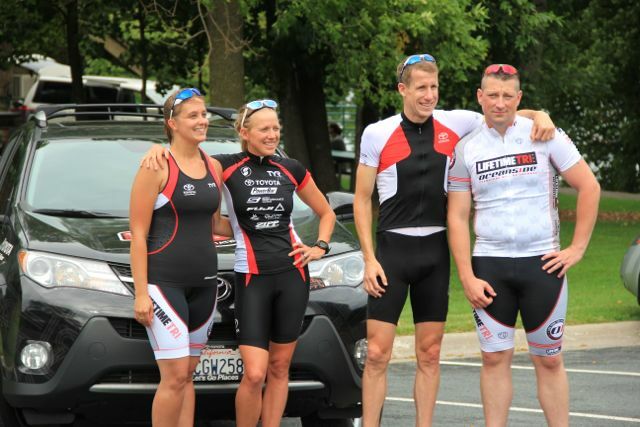 Toyota, Fuji, PowerBar, Sketchers, Zipp, Toyota, TYR, ISM, MissionAthleteCare, Speedfill, Polar, Rudy Project,.